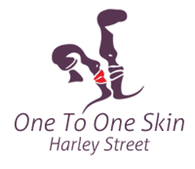 “I highly recommend�One To One Skin of Harley Street�to all Local Mums. The results are amazing and a great, natural alternative to Botox or expensive face creams that don't work." Are you ready to experience the secret of the worlds biggest sports stars and celebrities? This pioneering treatment at One to One Skin is Proven science from over 20 years of clinical data published in the worlds most prestigious journals, cutting-edge innovation captured in luxurious textures for a sumptuous skin care experience that reduces wrinkles, significantly slows down skin ageing and gives younger, firmer looking skin. No fillers – No pseudoscience – Just pioneering skin care you really need to be a part of. PRGF (plasma rich in growth factors) benefits the skin by activating the body to send production of collagen, elastin, fibrin and other skin healing proteins into OVERDRIVE. It stimulates the natural production of Hyaluronic acid by our cells themselves, therefore helping to avoid treatments with Hyaluronic acid with bacterial or animal origin. While it’s widely used for it’s healing properties and intensive cell regeneration to heal athletes injuries in the premier league, La Liga and many other sports such as tennis, One To One Skin use it in facial aesthetics at our Harley Street Skin Clinic. It is based on the activation of your own platelets for the stimulation and acceleration of tissue healing and regeneration of your skin to give you a more youthful appearance, the natural way. In none of the treatments carried out over the years have any undesired effects been observed. PRGF is 100% biocompatible and safe. The platelets are taken from your own body and you’re not going to have a bad reaction to yourself! The human body is amazing, when we damage ourselves we have a special ability to regenerate new cells, proteins and to repair ourselves. The same goes for the skin.